Interested in enrolling your child at Jordan Glen School? The first step is to contact us for more information and to schedule a tour. You may complete the form below and submit it, or call us at (352) 495-2728. After the tour, you may then complete an application. There is a non-refundable application fee that will get your child into the system and on the waiting list. When there is a spot available for your child, we will schedule a shadowing day for him/her to come spend some time at our school to make sure we are the best learning environment for your child's unique needs. Upon acceptance, there is a non-refundable $550 deposit to hold your child's spot. This is applicable towards tuition. We look forward to meeting you soon! How did you learn about Jordan Glen? 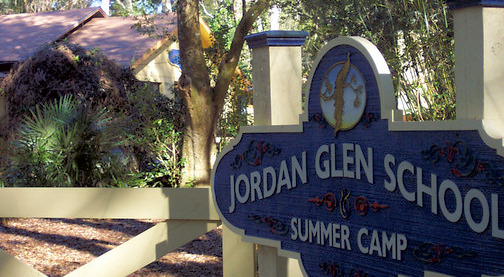 Your request for more information about Jordan Glen School & Summer Camp has been received. We'll get back to you as soon as possible.